Dr. Melissa Shyan-Norwalt received her Doctorate in Experimental Psychology at the University of Hawaii in Comparative Cognition. After a two-year postdoctoral fellowship on research in primate cognition at the University of Texas Health Sciences Center at Houston, she taught for two years at Southwest Texas State University, and then moved to Butler University in Indianapolis, where she taught experimental methods, learning, and cognition for 13 years. 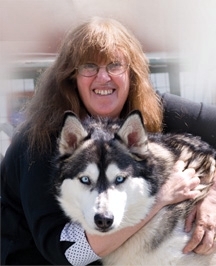 She has been a college professor, published scientist, animal shelter manager, and animal behaviorist. She is an Educator Assistant Professor in the McMicken College of Arts and Sciences at the University of Cincinnati and runs a private practice in companion, domestic, and exotic animal behavior.